The first comprehensive source for keyboard grooves, complete with transcriptions and tips on loop construction! : Dance, Funk, Jazz, Latin, Reggae, R&B, and Rock ‘n’ Roll Grooves. All Loops Fully Scored. Fully Compatible with All Samplers and Recording Software. 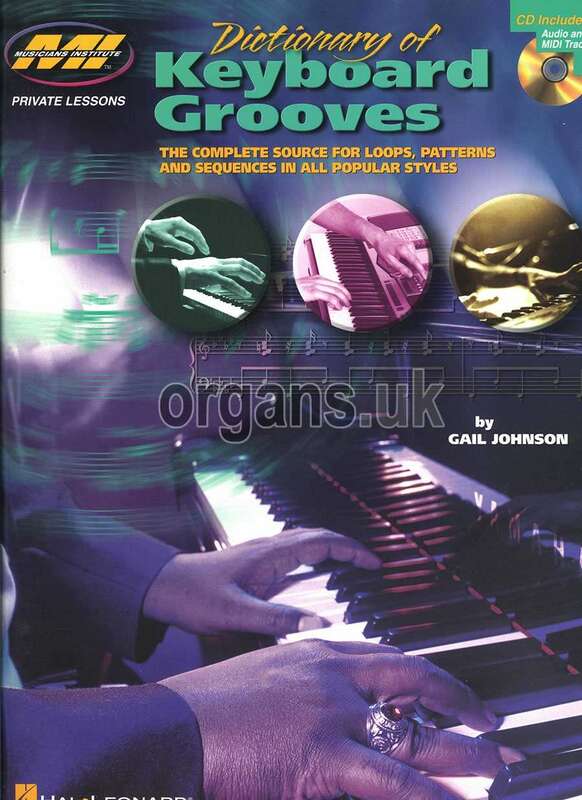 Can Serve as a sample library or a Style Manual for keyboardists who want to learn new patterns. 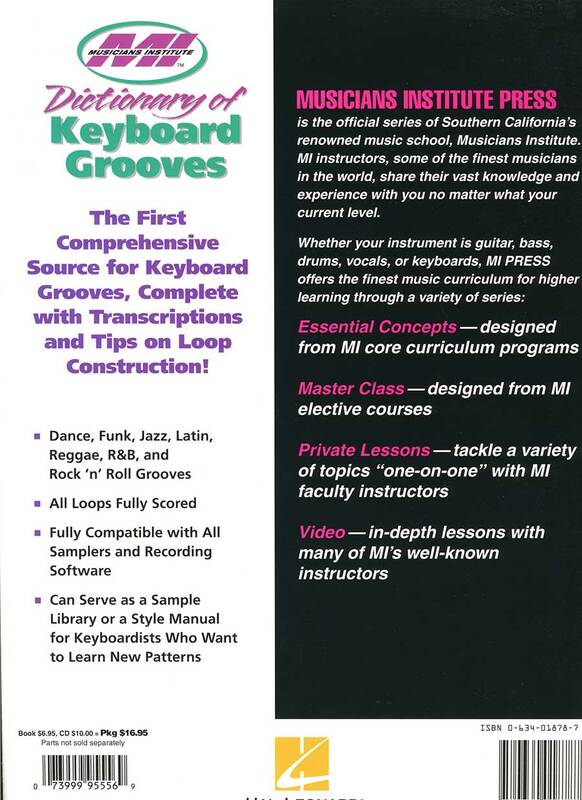 Musicians Institute Press is the official series of Southern California’s renowned music school, Musicians Institute. MI instructors, some of the finest musicians in the world, share their vast knowledge and experience with you no matter what your current level. Private Lessons – tackle a variety of topics one-on-one with MI faculty instructors. 46 Pages, complete with CD.